Since I have used the same layout with two different blocks, I thought that it would be interesting to see the two quilt tops side-by-side. and here is the same layout with half log cabin blocks. 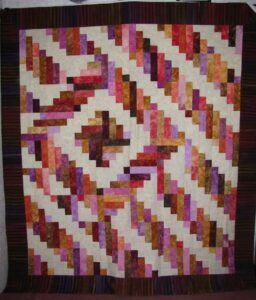 This quilt top was completed the end of 2011 and measures 76.5″ x 84″. 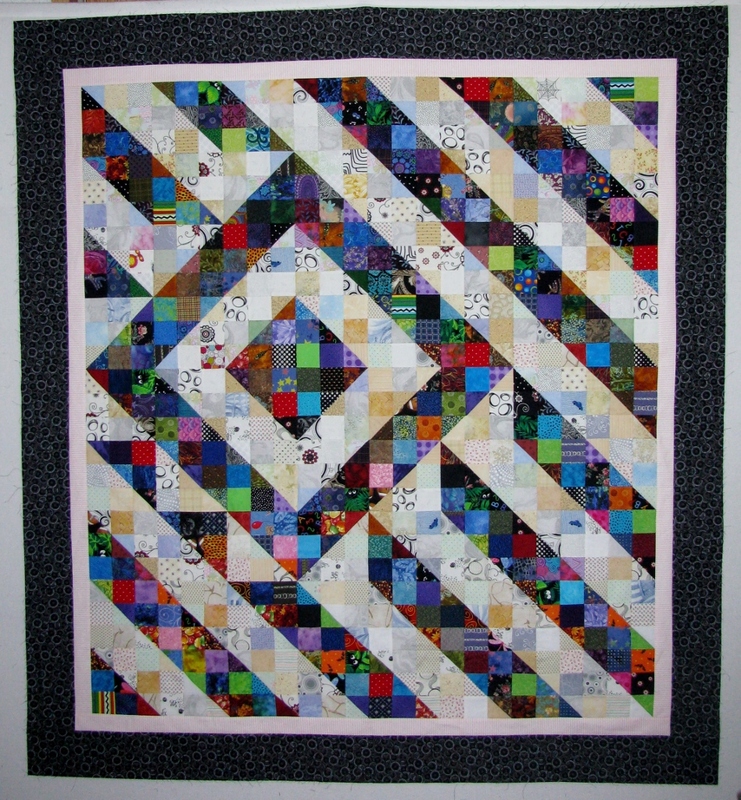 I started my blog January 2012, so I had to pull out this quilt top and take a picture. 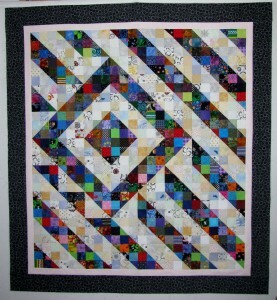 When I look at the two quilt tops, the top one looks crisper because of the straight lines between the light and dark. 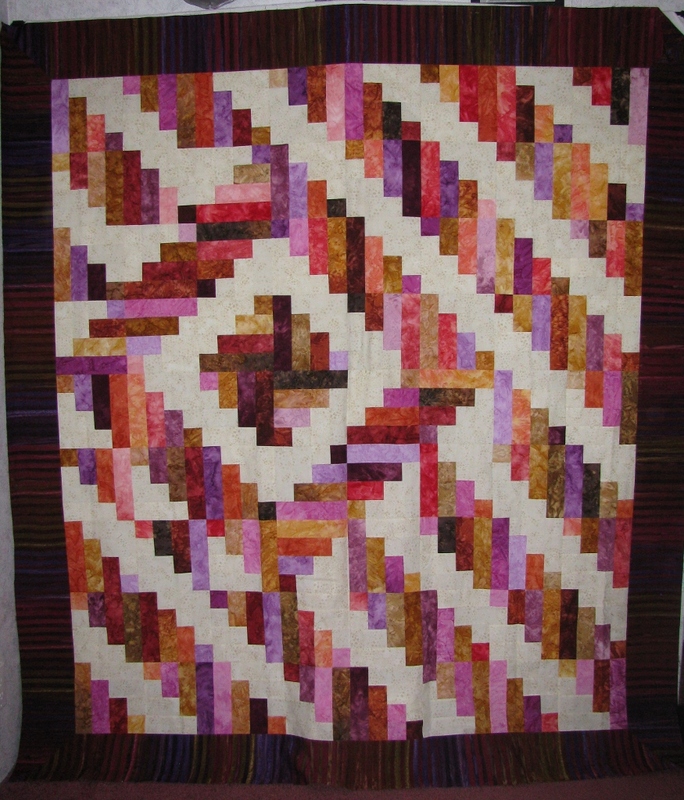 The bottom quilt seems softer because of the jagged edge between the light and dark. I don’t think that I can pick a favorite – can you?